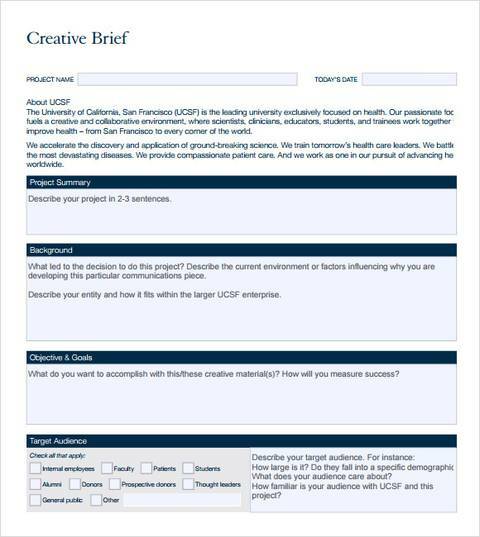 How does the creative brief sample benefit your clients? It’s important not only to ask but also to answer this question. The answer forces you to evaluate whether the sample is worth getting and using. The truth is your creativity needs such a sample. More importantly, your clients also need it. You may be surprised to learn the many ways such a document can boost your business by impressing the clients for whom you offer your amazing freelance design skills. The creative brief sample appears on the scene way before the actual process of designing whatever the client wants kicks off. For this reason, it sets the pace for everything the client and freelance designer are about to do. The creative brief sample establishes the foundations for everything the designer is about to start designing. More critically, it offers a base upon which the designer builds the entire project to the clients’ expectation. One benefit of the creative brief example is the effect it has on the time the freelance designer takes to complete any project. Remarkably, it reduces the amount of time taken for completing projects. Most clients would rather get their projects back in the shortest time possible. The brief gives you a tool for achieving such a goal. Your clients would be happier with you, which would then guarantee you more work going forward. Clients have no problem returning to their freelance designer all the time, especially when accountability is in full flow. Accountable designers are more likely to get more clients. Freelancers exist in a world where accountability is highly sought after. Clients value this quality in all their freelance designers. Freelancers go through different stages, which wouldn’t be possible without displaying the required level of accountability. The creative brief example reminds you to stay on the task you’re currently handling. It dissuades you from being all over the place in terms of productivity and focus. The creative brief example is also worth investing in for reducing the time your clients take to approve any project or design you submit to them. Imagine working in a world where clients give you the green light to proceed with the task at hand fast instead of taking what seems like forever! You would be more effective in such situations. The result of all that? You will have a ton of happy clients to work with, which would aid your freelancing massively. The creative brief sample is one of the designer’s most important tools. How? It boosts creativity. The tool is the sort any designer would love on those days when creativity seems to have taken a backseat. What is more, the brief gives the designer a higher likelihood of delivering quality work. The enhanced creativity makes it easier for the creatives to put on their creative caps and deliver stunning work to the clients’ pleasure. 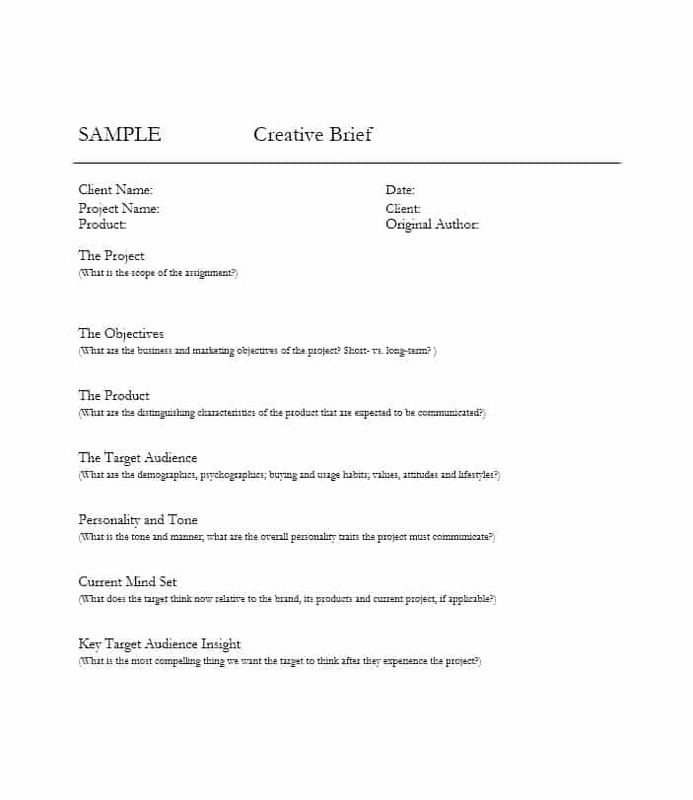 As you may have noted here, you need the creative brief example for wide-ranging reasons. Your clients need you on top of your game. The brief example makes you likely to be at your best whenever clients hire you to offer them freelance design services. Do not be afraid to spend as much as it takes preparing the creative brief sample. The actual preparation may be painful, but the benefits make the pain worth every penny!